When your friends or family are sad, do you feel sad too? No, someone has to be strong. Do you put yourself in someone else's shoes before criticizing them or judging them? Yes, I try to do so. No, because I don't need to. Do you have an instinct for understanding what makes people happy? No, I don't think I'm that person. Do you get upset when you see someone being bullied or treated disrespectfully? Do you feed off of others' excitement? Do you feel the need to help people less fortunate than yourself? True or False: I have a hard time seeing things from my friends' perspective. Do you tend to sync up with other people's moods? True or False: If I feel confident about something, I don't ask for others' opinions. When friends or family tell me good news, I understand exactly why it's good news for them. Are you annoyed when someone cries in front of you? True or False: I believe there are two sides to every story. No, there's only one version of events. Do you enjoy making people feel better? When you're upset at someone, how do you handle it? I try to see things from their point of view. I relentlessly advocate for them to see things my way. Do you innately understand what will make your friends and family happy? Wow! 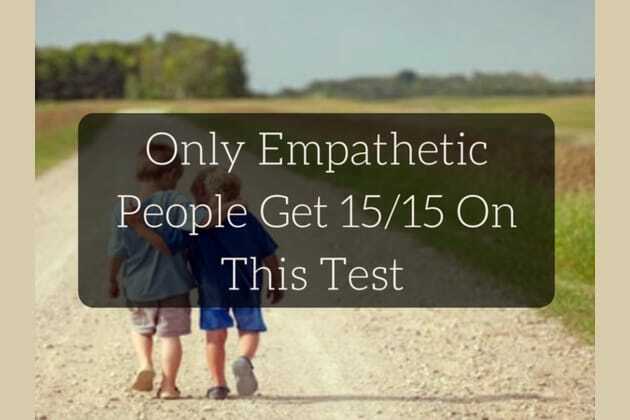 You are highly, highly empathetic! You really, truly, and deeply understand people. This makes you highly empathetic– meaning you have a knack for understanding what makes them happy and sad, and how to handle those emotions within yourself. Just be careful that you don't get burnt out, because all of those feelings take a ton of energy! Hmm. You need to work on your empathy skills, friend. It doesn't seem like you have the empathy thing down, truth be told. But you can work on that! With greater empathy comes greater connection between yourself and other people. Which makes for a better life for everyone, overall. Try putting more love into the world and see what comes back! Because being kind and working hard will get you places.